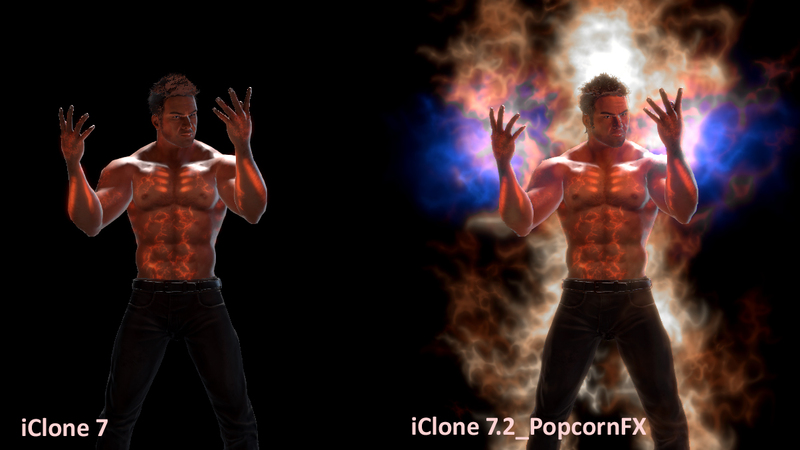 iClone can directly use PopcornFX content via the *.iPKFX format. Four particle effects are included as embedded content. 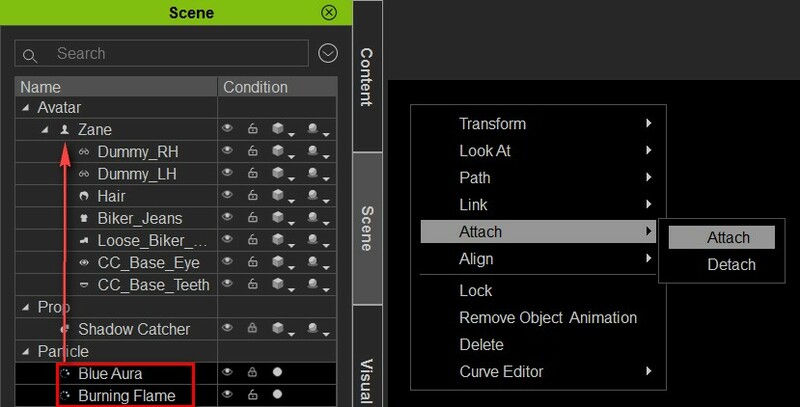 Native functions for transform, constraints, attribute modification, and timeline animation are built into iClone. *All particle effects are licensed from Persistent Studios PopcornFX. Diffuse Texture include font style tables, sprite animation sequences, and distortion effects. 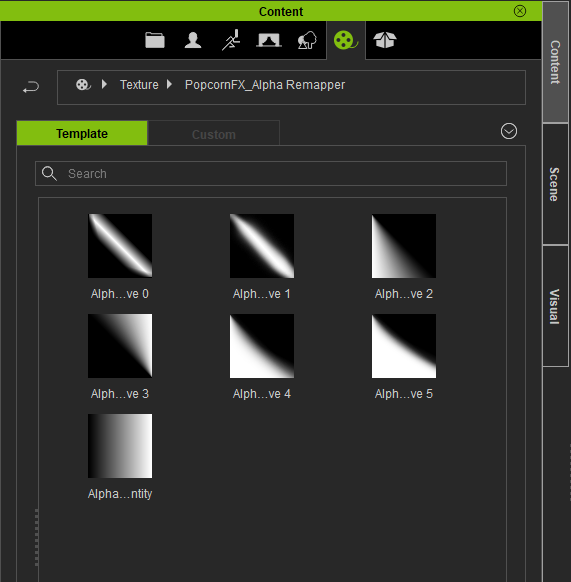 Resources for PopcornFX Editor's Alpha Remapper. 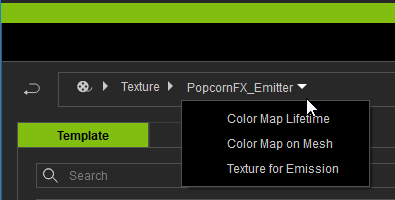 Resources for PopcornFX Editor's emitter textures: Color Map, Emission Maps, etc. Feature: Loading images, sprites and meshes for particles. Feature: Directly load *pkfx format. How to use these contents? 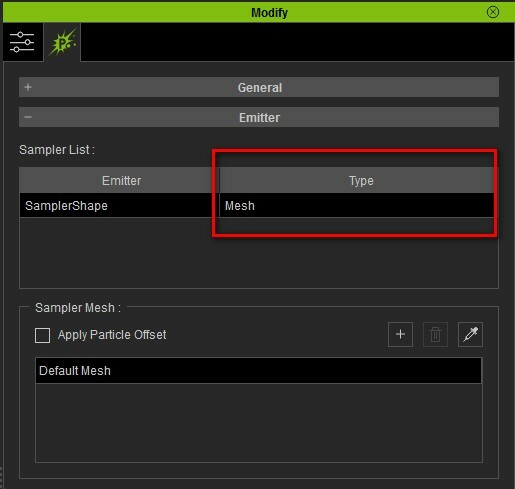 PopcornFX content is designed individually for very specific purposes, therefore, not all modifiable attributes will be the same. 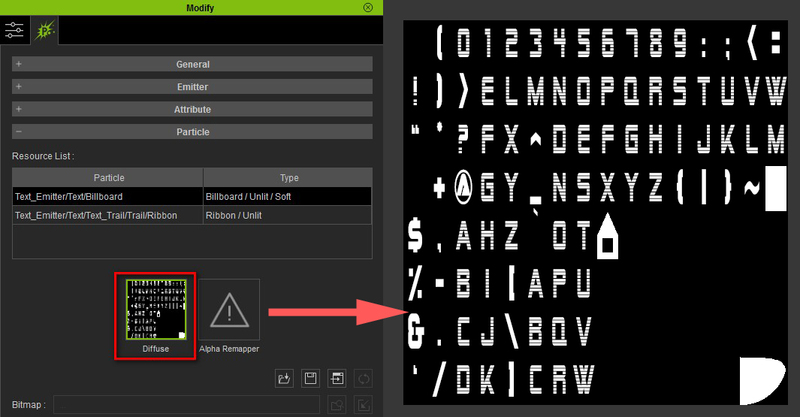 The following interface examples are the same for any selected iPKFX. The rest of the interfaces and usage differ depending on the design of the particle effects. 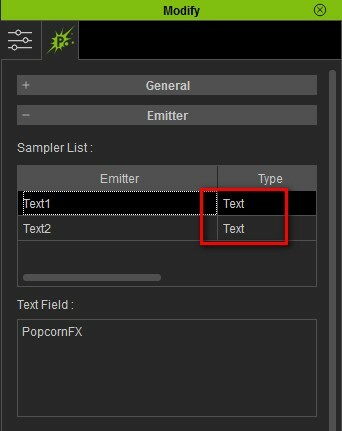 You can change the text for the particle effect by typing into the Text Field while a text sampler is selected under Modify > PopcornFX > Emitter. 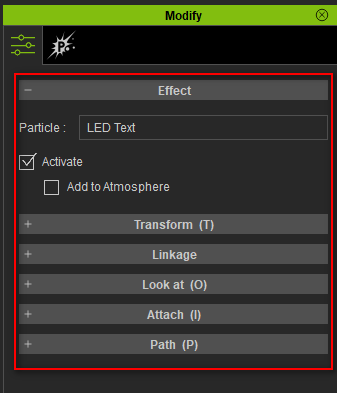 Change the font of the emitted particles via Particle > Texture Channel. 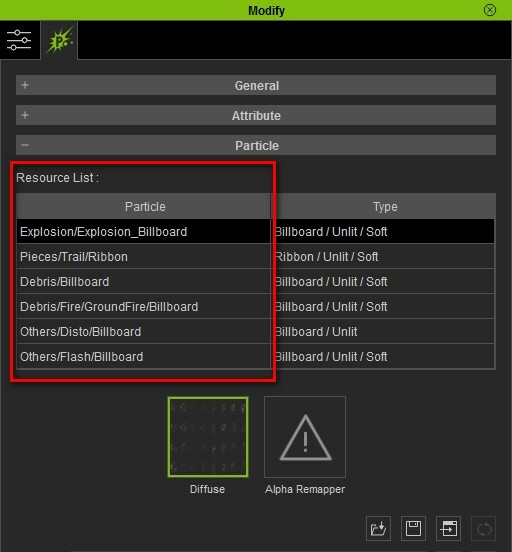 Under Modify > PopcornFX > Particle > Resource List you will find all of the elements that make up the particle effect. 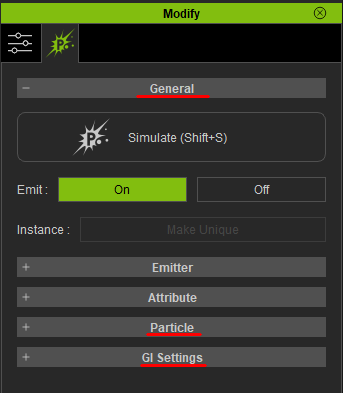 More importantly, the textures that are responsible for the look and feel of the particle effect can be launched directly from iClone for editing. By modifying the font table, the font style can be exchanged for another. One of the advantages of the PopcornFX system is that a particle effect can be comprised of several elements put together. For example, the Explosion effect is made up of Fire, Smoke, Debris, Distortion Effect, etc. Depending on the design of the particle effect, the attributes of the combined effects can control individual, several, or all of the elements at once. PopcornFX content can carry camera related information, and in accordance with the viewing distance, perform a number of functions. Such as in the case of the DOF Kidneys effect, which comes with the depth of field attributes in the form of Focus Distance and Focus Range that can control the focus range, blur, and sharpen for the camera lens (see the following video). 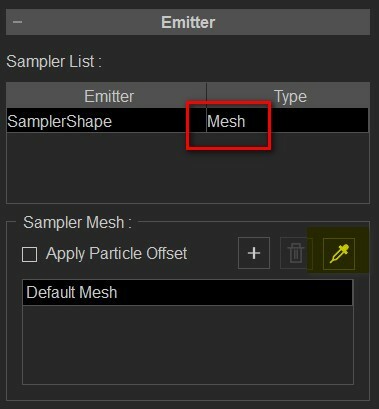 Via the particle's Modify > PopcornFX > Emitter > Sampler List, you can pick the mesh to emit the particle effect. Provided example project is an animated prop in the form of a flapping dove. 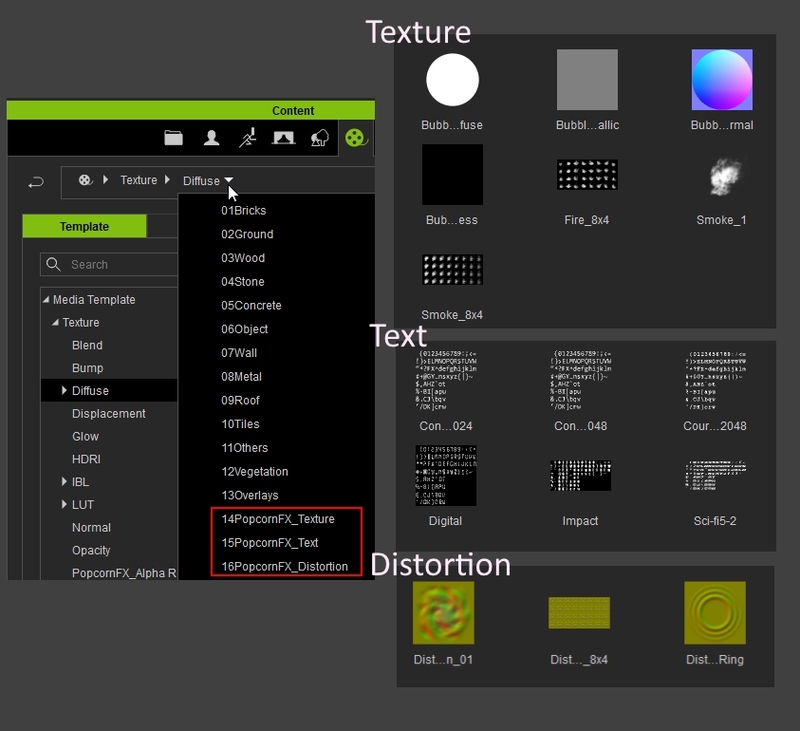 PopcornFX content can also carry sprite textures that can be randomly sampled from or used as image sequences depending on how it was designed. In this case, the Flowing Feather effect uses random sampling to provide a more naturalistic look for the effect (see the following video). Modifying the sprite texture can offer various look and feel for the particle effect, for example: Fall leaves, confetti, and much more. After: When the PopcornFX content is added into the previous project. We must make sure that the particle emitter for this content contains a Mesh Sampler in order to meet the criterion for this exercise, which is to have the flames flow along the form of a human body. According to the instructions above, Burning Flame and Blue Aura have Mesh Samplers wherefore one can reassign by picking a target mesh. Note: The character does not have hand mesh sub-nodes, therefore the particle effects can not be relegated to just the hands. Instead, we'll have to create two dummy props and attach them to each hand and allow them to emit Blue Aura effect by setting them as the sample target mesh. Because the sampler mesh is externally linked, we'll need to save the entire project in order to save everything together. Or we'll need to attach the iPKFX to the character and save the iAvatar to preserve the relation between the iAvatar, iPKFX, and other sampled meshes. Once the effects are attached to the character and saved, the file can be reloaded and it'll retain the relationships between the iAvatar, iPKFX, and other sampled meshes (see the following video). Some of the advanced settings require the PopcornFX plugin. But did you buy the PopcornFX plugin? 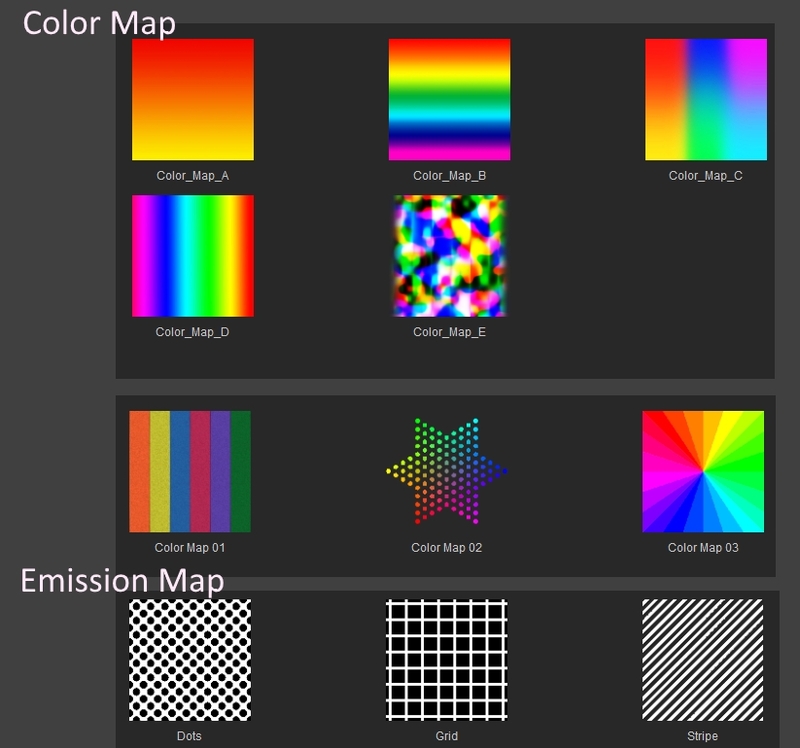 You cannot use the textures without it, and you won't be allowed to have them without it. Unopened 2/3D Software Junkie - Asus M5A97 w/FX8320 +16 GB, Radeon R9 280. I'm playing around with the text FX and notice that the Play button gives three different scenarios. How do I pick one of them or save my variations as a template? Thank you Reallusion! How can I get this working with Indigo render? it doesn't give an option in Indigo Render settings!